As we consider further development of PocketKnowledge, we might want to consider the Metadata Games growing out of a project at Dartmouth. 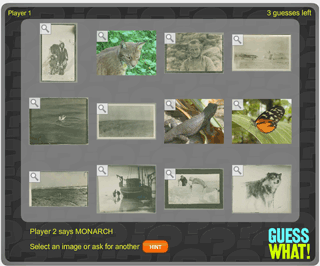 The idea is to turn the task of creating metadata into an engaging series of games. 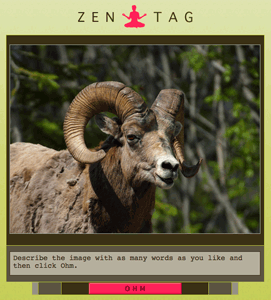 Zen Tag, shown above, is a simple naming activity. Guess What? below involves two players with one trying to select the image that best matches a tag provided by the other. This account from the Chronicle provides some details on how the project worked with the archivist at Dartmouth.